Although I don’t read celebrity magazines, or follow celebrities via social media, I do enjoy reading celebrity memoirs. Why? 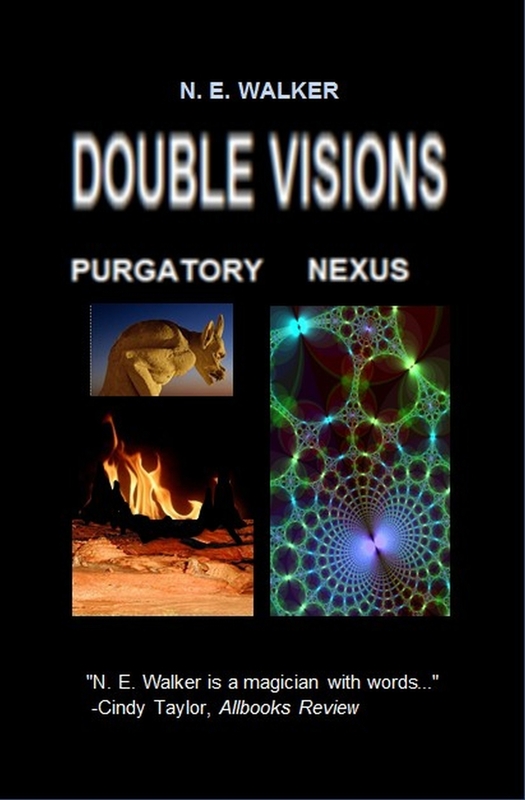 Because — as evidenced by my fiction writing — I find human psychology fascinating, particularly at its farthest edge where abnormalcy is the norm, and I have found that the far edge is the home of the psyches of many celebrities. Because of the nature of their work, celebrities inhabit an alternate universe, one that would be the worthy creation of an imaginative science fiction author, if that universe did not already exist in reality. Celebrity memoirs, in my rather large sampling, are often me-me-me-moirs, providing a glimpse of a narcissistic world view beyond the farthest reaches explored by the Starship Enterprise. This squinty-eyed vista, however, is typically widened by the inclusion of stories about other celebrities that the memoirist has encountered. These vignettes can range from crude to elegant, angry to funny, ponderous to witty, myopic to insightful, tedious to riveting, and — on rare occasion — humble and achingly honest. Memoirs often surprise. William Shatner’s Up Till Now is the overall funniest memoir with the most laugh-out-loud passages that I’ve ever read. At the other end of the spectrum, Bruce Dern’s Things I’ve Said, But Probably Shouldn’t Have is a memoir I’ve read, but probably shouldn’t have. Apart from raising me-me-me to record-breaking heights, it also assaults the reader with a vocabulary surprisingly restricted to numerous unnecessary and tedious recitations of a common four-letter expletive. 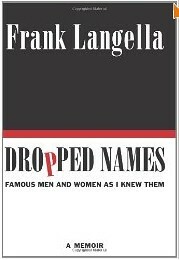 And now we come to a memoir that is really unique: Dropped Names by Frank Langella. Although Mr. Langella has played leading roles (e.g., Richard Nixon in the play and film versions of Frost/Nixon (highly recommended)) and is an established and respected stage actor, Langella is probably best known to the general public as a character actor in movies and television. There are several reasons to use the over-hyped word “unique” to describe Mr. Langella’s memoir. First, it is not a me-me-me-moir. Indeed, it is hardly a traditional memoir at all. Mr. Langella is certainly present throughout, but only within the strict context of the stories he relates about “Famous Men And Women As I Knew Them” (the book’s subtitle), and the reader is left to understand Mr. Langella only by induction. For example, there is mention of past wives and children, but few specifics. Also, a thread of bisexual ambiguity runs throughout, evidenced by Langella’s expressed interest in (and empathy for) gay colleagues. In the end, however, this thread is not unraveled. Second, these stories are not presented linearly, but are stand-alone vignettes of famous people with whom Mr. Langella interacted either briefly or at length, but always with enough depth to allow him to absorb engaging insights. You may not recognize every “dropped name,” (I had only hazy recollections of some) but that did not detract from the enjoyment of each story. And finally, we reach one of the strongest features of Mr. Langella’s memoir: it is beautifully written, of literary quality, carefully composed with wit and style. The stories evoke pathos (Mr. Langella expresses deep empathy for the neglected children of certain celebrities), disdain (he is definitely not a supporter of the Stanislavsky school of “method acting”), and humor (laughter eruptions are induced throughout: caution, do not read Dropped Names in a quiet zone). Caution: Although not presented gratuitously, expletives are contained in many instances of recounted dialog.